Welcome! I'm Spiritual Advisor and Best-Selling Author Blair Robertson. Thank you for checking out my website! Blair was born to Scottish immigrant parents in 1966 in St.Mary’s, near Toronto, Ontario, Canada. At a very tender age Blair was aware of his psychic intuitions, thinking everyone had the ability to “sense” the world around them. With encouragement from his father and uncle, coupled with the fact that his grandfather also had psychic abilities, Blair began to hone his “gift”. It was when Blair was almost 14, that he encountered his first spiritual connection. While walking home one evening from a part- time job, he saw a purple haze forming in front of him and the face of his grandmother appeared. Her smile, no longer twisted from a stroke she suffered many years earlier, radiated a sense of calm and peace. At that moment he knew she had passed away. Although he was aware of the spiritual world, this was Blair’ s first contact with his own deceased loved one and validation that there is “life” afterlife. Blair has appeared in a number of international newspapers, magazines, local and national television and radio shows. He has several published books and his beautiful Guardian Angel charms and “Love Never Dies” wristband. Blair and his wife, Wendy, live in the West Valley of Phoenix, Arizona. They relocated from Ottawa, Ontario, Canada in May 2011 and plan on making the Southwest their home. Blair has a beautiful daughter living in Australia, four wonderful stepchildren & six very special step-grandchildren all living in Ontario, Canada. 2. To help you be more, do more and have more spiritually. If you are seeking spiritual development, enjoying life to the fullest, connecting with your spirit guides… and generally wanting to be MORE, do MORE and have MORE… you are going to love my site. That's because spirit has given me the gift of simplification: I take the complicated stuff and make it simple to understand. Whether through my free weekly inspirational newsletter, my online free seminars (aka webinars), my products, personal consultations or my phenomenal live events, you'll be inspired to be more, do more and have more. No matter what I do, I always let my newsletter subscribers get “first dibs” on everything. They are always the FIRST to learn about exclusive events, live intimate shows, free seminars, videos and more. I'm known for being direct and blunt. If you're looking for fluffy woo-woo stuff, I'm not your guy. My mantra is this: I take my subject matter very seriously, but I don't take myself seriously at all. I love to have fun. 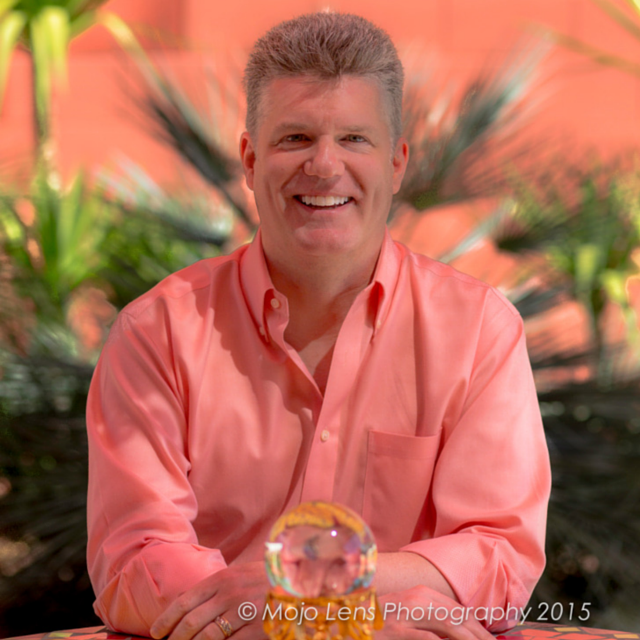 I'm decidedly different than most other psychic mediums and spiritual advisors. For example, my live mediumship events are often filled with laughter, fun and amazing spirit connections… because spirit is full of love and light, opening the door to this allows it to be joyful. “Blair shares his ability to bring messages from loved ones who have passed on with brilliant clarity, compassion, and yes, wit. I received a reading: my father came through with spot on validations. I will carry my reading for a life time. Blair's explanations of spirit guides answered so many questions. It was an evening of laughter, tears, and love. We were all entranced. Thank you.” Marylou P. Phoenix, AZ. What To Expect When You Hang Out With Me? If you're here for free stuff, awesome. I've got it in spades. I'm a very big believer in giving more than receiving. My free weekly newsletter rocks and is packed with terrific free stuff every week, just to start your week off right. FREE online seminars (also called webinars) and live Facebook broadcasts that are packed with actionable content on topics such as connecting with your spirit guides, how to connect with your deceased loved ones, past lives, removing karmic blocks, how to attract abundance into your life and more. My live “Evening of Spirit Connections” are UNlike any others. These are small events ranging from typically 100-200 people (occasionally larger) are designed to be intimate (unlike the shows where there are 2000-5000 others in attendance). Private Readings/Consultations: my schedule is very full, but for those who wish personal connections, I do routinely conduct psychic readings / consultations and mediumship sessions via phone. Products: Of course, we have a number of wonderful exclusive products such as my “Vortex Pendulum's,” downloadable meditation and hypnosis mp3's, and other goodies. Why not join over 180 THOUSAND followers and get moving towards being more, doing more and having more? I'll see you inside! Go ahead. Jump on my email notification list and be the FIRST to find out about free events, live shows, webinars and more. And no, I don't spam and I don't sell your name to anyone. With every email I send out, there's a link at the bottom so that if you wish to unsubscribe at any time, you can do so with a single click. Take action and start benefiting today.